Investing insight to make you a better investor. 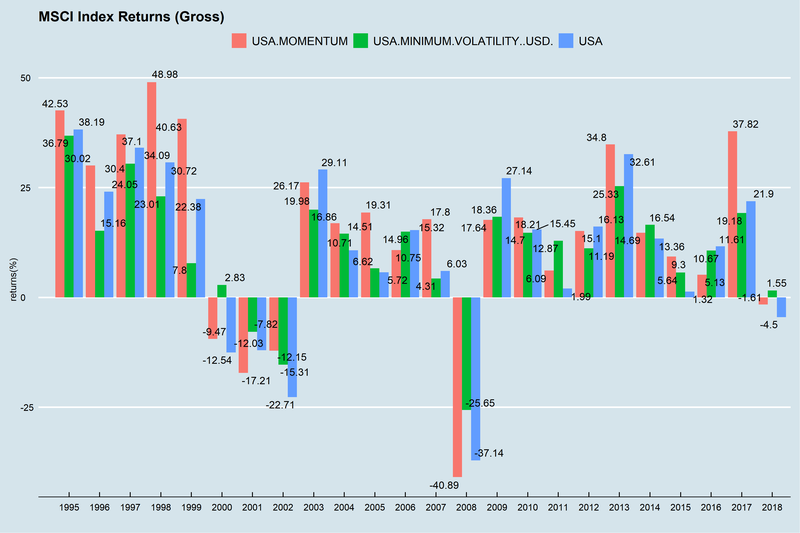 Is the low-volatility anomaly overrated? Investors may be giving up on the significantly higher returns of a momentum strategy in favor of slightly lower drawdowns of a low-volatility strategy. They maybe better off managing overall portfolio risk through a bond allocation rather than tilting away from momentum. Most of the time, beta swamps alpha. 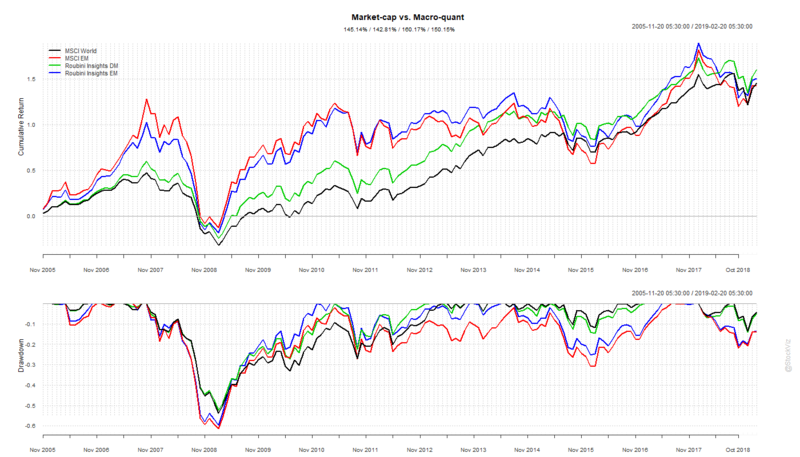 Take the case of the Roubini Country Insights model, for example. It claims to “rank countries based on an analysis of over 2500 data points from institutions such as the Bank of International Settlements and the World Bank.” Also, “these data points cover each country’s demographics, quality of education, healthcare and ability to innovate, and will look at the country’s growth potential in political and social spheres, as well as its top-down macro-economic situation.” It sounds like it does everything that a smart investment manager with a long-only global equities mandate should be doing. And you would expect such a smart model to add significant alpha. Thanks to Barclays, a bunch of equity indices based on this model have been available for a while now. We were curious as to how these performed vs. their corresponding plain-vanilla market-cap weighted cousins. The value add from the smart-beta quantitative “Insights” model, roughly about 1% a year, seems skinny compared to all the work that must have gone into it. 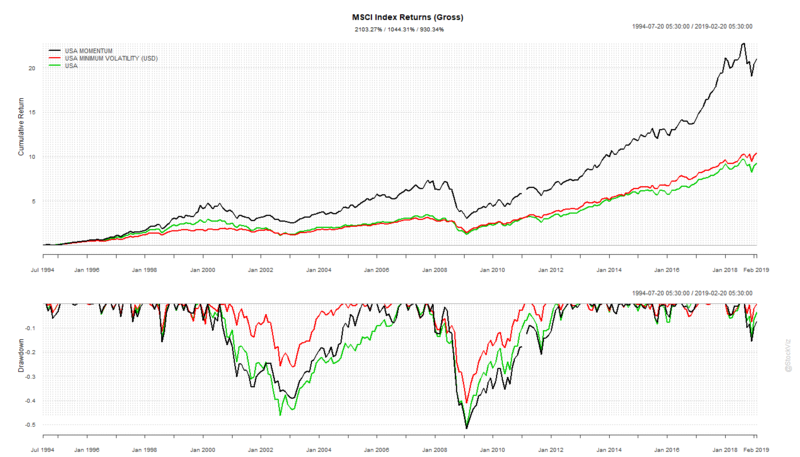 2500 data points is a big dataset but it looks like most of them have no effect on equity returns. This also ties into the curse of dimensionality when dealing with complex adaptive systems – more data typically subtracts from the model. As an investor, it probably would have been easier to stay invested in one of the cap-weighted indices, just accepting the beta, rather than reach for that 1% extra with fancy sounding strategies. 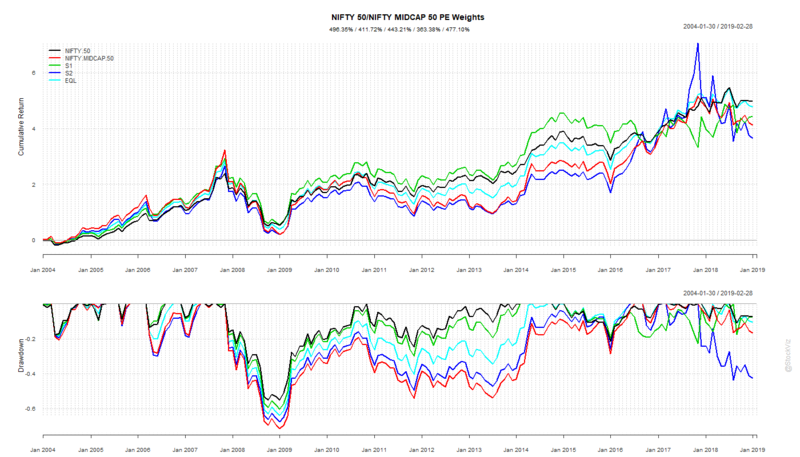 In Part I of Index Valuations, we showed how the relative PE (price-to-earnings ratio) and PB (price-to-book ratio) of the NIFTY 50 and NIFTY MIDCAP 50 indices have varied over time. What would a portfolio that weighted each of these based on the relative valuation ratio look like? 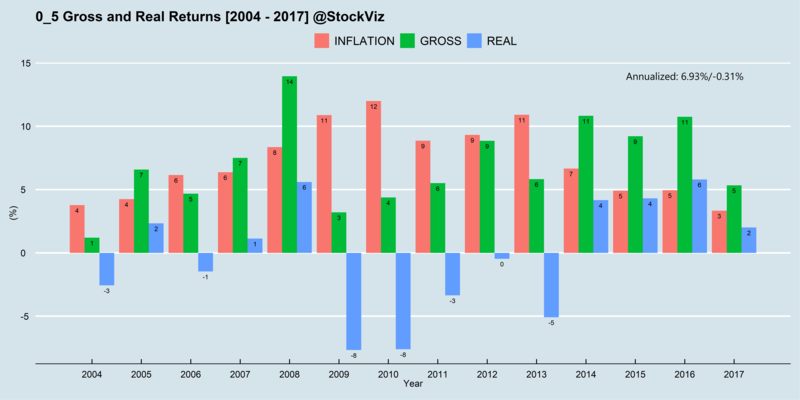 a portfolio with PB based weights is a lot less volatile than the PE based one. 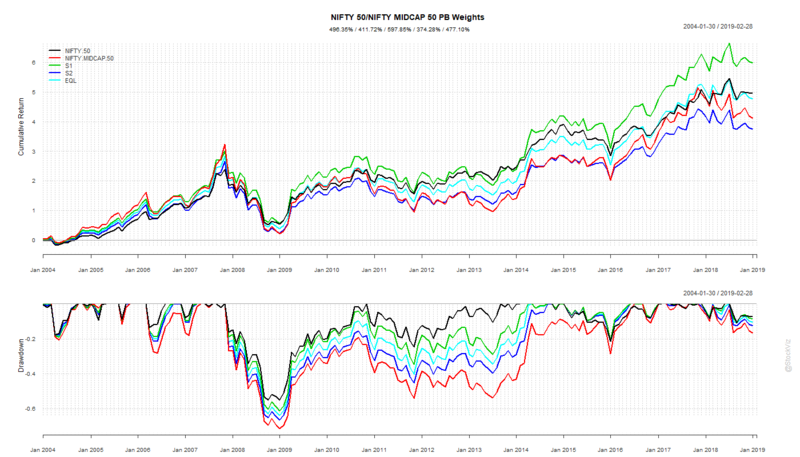 You can track and map this strategy to your portfolio using the PB weighted NIFTY/MIDCAP Theme.